The externally pressurized design of these joint eliminates squirm, allowing longer movements for axial compression and extension. The all welded construction with no packing will provide maintenance free, long service life. The self-cleaning bellows results in no sediment accumulation in the convolutes of the joint. The integral liner protects the bellows from abrasion and erosion from the flowing media. 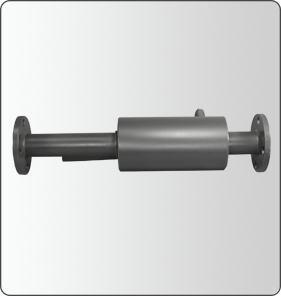 The heavy wall housing protects the expansion joint from external impact and possible damage.